As a born and raised Chicagoan, Taylor prides herself in her knowledge of the city’s greatest strength, its neighborhoods. Taylor grew up in Chicago’s thriving Portage Park and has lived in Rogers Park and Wicker Park. During her undergraduate career at Loyola University Chicago, she studied the intersection of Psychology and Criminal Justice and its implications on human behavior, relationship dynamics, and societal perspectives. She elected to spend a semester in Italy in an effort to widen her range of experiences which, in turn, took her all across Europe. Following her European stay, she began working on a research lab that shed light on the importance of resilience and advocated for disadvantaged children. Taylor’s research focused on, but was not limited to, the experiences of elementary-level children residing in several south side neighborhoods of Chicago. She facilitated the development of meaningful relationships and worked to promote positive psychological outcomes amongst Chicagoland youth. Taylor was introduced to the real estate industry by a fellow mentor and was immediately intrigued by the “something new everyday” mentality. Taylor has since discovered a passion for the real estate industry and the uniqueness that comes with each transaction. Taylor enjoys playing a role in her client’s often most momentous decisions, whether it be portraying their needs and desires in her searches or showcasing her enthusiasm throughout each step of the process. 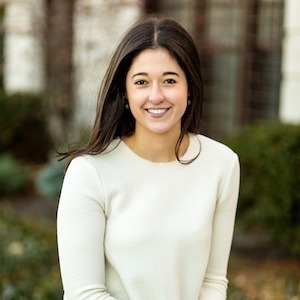 With an acute eye for detail and preference for data-driven answers, Taylor aspires to be her client’s strongest ally and ensure that their transaction goes as smoothly as possible. Taylor intends to walk away from each closing with the assurance that her clients received exceptional representation, advice, and support.